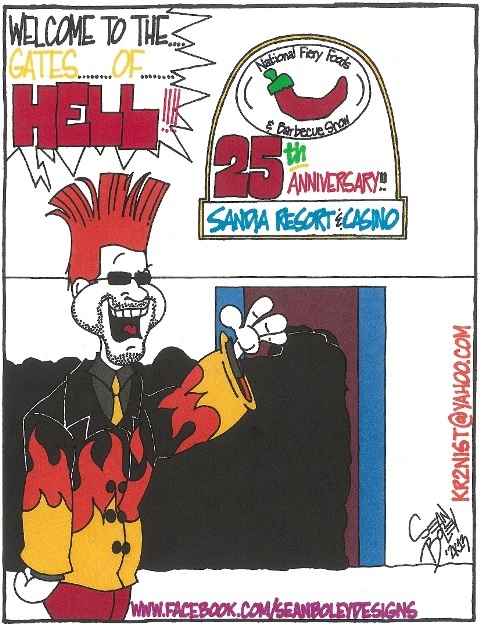 Albuquerque – I Love It Spicy! Fiber Joe interviews Jennifer from All of Us Old Plantation Soups & Dips while at the infamous Fiery Food & BBQ Show in Albuquerque, New Mexico. They just don’t make soups and dips though as Fiber Joe finds out at the end of the interview. A lot of products on their website from soups and dips to pies and breads and a lot more. They are all prepared in bags with instructions on how to make these easy dishes at home. Follow Joe’s sampling as he tries their tasty soups. Lost in our YouTube archives from the Fiery Food & BBQ Show, we have Fiber Joe’s many interviews. 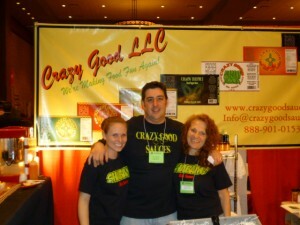 Crazy Good Sauce Company is one of a handful of companies that we will share with you over the next couple of weeks. In 2012 we did 2 of their product reviews. One for Nikki’s Crazy Good Southwest Sweet Heat and the other Jimmy’s Crazy Good Red Chile Hot Sauce. Since those reviews they have created a whole line of unique hot sauces with flavors and ingredient combinations that we have not seen in the industry before. I personally am looking forward to their newest creation, a pineapple salsa due out in September. Perhaps, just in time for an entry into our charity driven Salsa Contest at the Houston Hot Sauce Festival? Those following the 2012 Lenny Awards all know how much I enjoy pineapple products. Anyway, here is Fiber Joe’s interview with Jim from Crazy Good Sauce Company. Fiber Joe just loves Fri-B-Que so much he had to stop by and see his good friend Mike Frison. They talk about their newest product, a ghost pepper hot sauce. They also bring up the All Purpose Seasoning as well. If you missed it last year, Joe was such a loyal fan and customer of Fri-B-Que, Mike asked Joe to do a small spot in his commercial they ran in local Albuquerque, NM. If you wish to see how good of an actor Joe is, check out the video below the show video. For purchase information, please see the contact information below the videos. Try it out and see why Fiber Joe loves their products so much. I can’t sleep thinking about this show. I still have not packed, and I leave tomorrow a few hours after work. I will pack then. What is the hurry? It is going to be beautiful weather during the day, 50’s-60’s, but in the 20-30’s at night. I am thinking of 1 sweatshirt/jacket and a bunch of t-shirts. Maybe some shorts might make the journey. Am I going to the Caribbean or the high elevation of Albuddahquerque, New Mexico? This is my 6th straight trip to the big show. It might be my last for a while since I like the fun events that the other shows bring, and this show while has it’s moments is a busy and tiring time for the vendors. It is hard for them to get into hangout mode when all they want to do is get off their feet and relax. Enter the Nativo Lodge. It is that place where people from the show hang. No big activity, no karaoke, no big dinner, just some alcohol and a jacuzzi if you are so inclined.